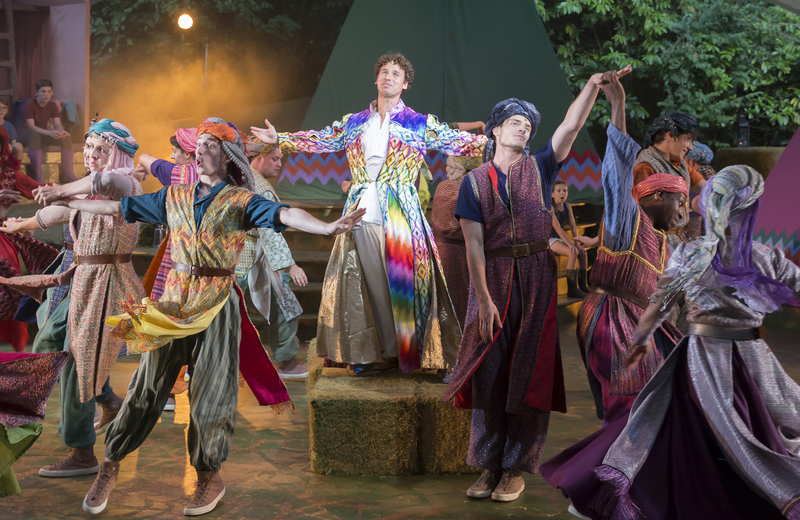 In the 50th year of what is now the most-performed musical in history, director Andrew Wright celebrates Joseph’s origins as a school performance by absorbing 22 children into the cast in the most natural and exuberant fashion. They become both recipients of and participants in the story, and even their rainbow wellies get a piece of the action. Wright’s zany, whirlwind choreography is a flying circus, especially in numbers such as One More Angel in Heaven, where the band of Joseph’s 11 brothers milks the comedy of exaggerated mourning for all it’s worth. A rag-bag of performers suddenly morphs into one giant selfie and scatters just as quickly. It’s like a giant cartoon at times. Matthew Jeans is a boyish and charismatic Joseph. His haunting and unembellished solo numbers, particularly the final Close Every Door, have the power to hold the moment and enchant the house. Phil Atkinson’s Elvis-gyrating Pharaoh is outrageous. Shanay Holmes Steward’s powerful and engaging Narrator really can tell a story in song. 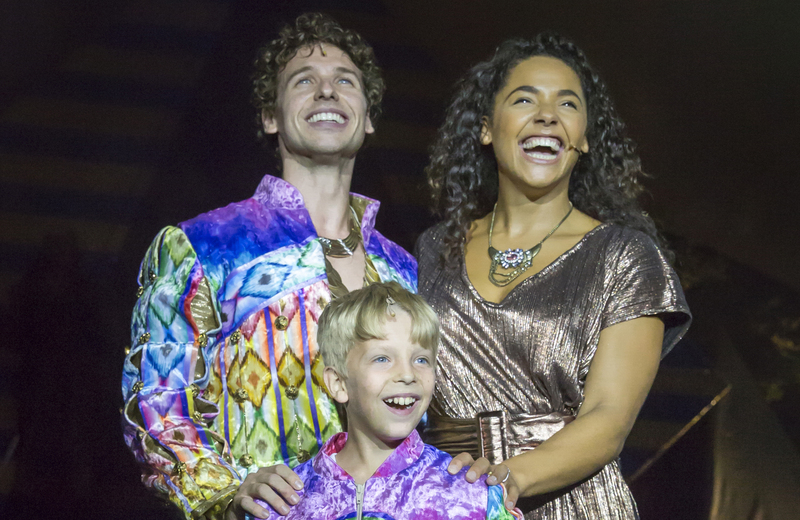 And the big numbers – culminating in a tearaway Joseph Megamix – are mighty and explosive. Jason Taylor’s rainbow lighting is spectacular. Costumes are lavish. And as ever in Kilworth’s outdoor setting, the action spills beyond the vast stage into the surrounding landscape. From the secrets of the pyramids to the seduction of the harem, it’s all gloriously and impudently Egyptian, with cameo roles for the mad puppetry of camel, sheep and goats. A family show is a departure for Kilworth and this is an absolute triumph.